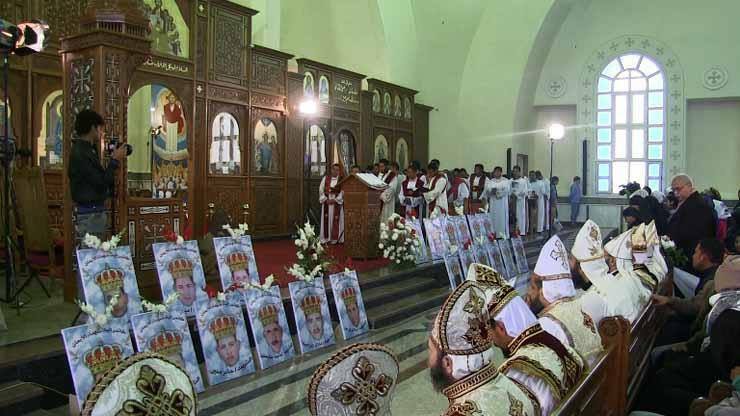 It is a special day for the Coptic community of Minya province, Upper Egypt, as a new church was inaugurated this morning in Al-Our village in remembrance of 20 Egyptian Copts and one Ghanaian Christian beheaded by IS on the Libyan coast three years ago today (15 February 2015). 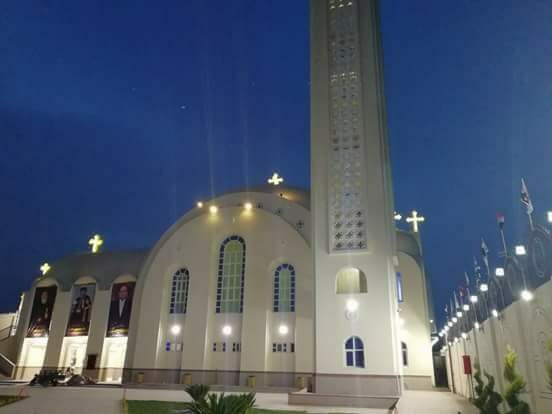 The first mass held in the Church of the Martyrs of Faith and Homeland on 15 February 2018. (World Watch Monitor). In the early morning, a mass was held at the new Church of the Martyrs of Faith and Homeland by Bishop Bevnotious. 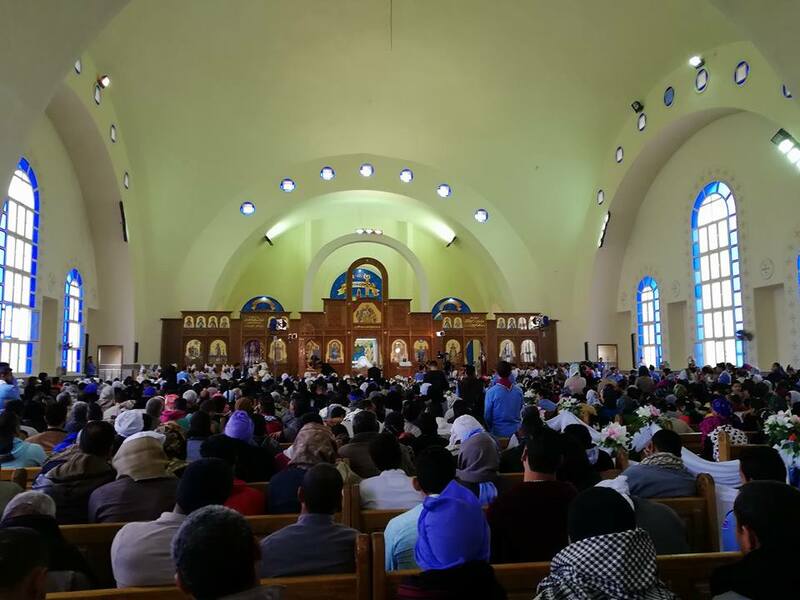 The church was packed with Christians who travelled to Al-Our from various parts of Minya – where the murdered Copts came from. Although the inauguration was not an official event – the governor of Minya did not attend – it still received extensive media coverage, partially because the construction of the church was funded by the Egyptian government. Security forces were present throughout the event. Boushra Fawzy’s son Kiryollos was one of those killed. He was 22. As part of the ceremony, the bodies of all 21 victims were expected to be reburied in one big coffin inside the church. However, World Watch Monitor learnt this week that the families were still waiting for their loved ones’ remains to be returned to them and had not been told when exactly it would happen. Meanwhile, three days before the inauguration, in another part of Minya, the town council of Al-Edwa issued an order to demolish a memorial erected on the spot where 28 Copts were killed last May as they travelled to the monastery of St. Samuel the Confessor on Ascension Day. World Watch Monitor learnt that the memorial had been set up without official permission. However, the governor of Minya, Essam al-Bedeiwi, intervened and ordered the planned demolition to be halted until he had discussed the matter with the town council. Two crosses were erected beside the memorial, which was made out of white bricks, next to a plaque showing the names of the victims.